Please keep in mind, we are just a fan blog. We just post rumors for fans that want to hear and read about them. RUMOR: New Bruce Springsteen Album In June? New rumors are circulating this morning from Italy. Greasy Lake (@GreasyLake on Twitter) posted an interesting screenshot from a Facebook post stating that we can expect a new Bruce Springsteen single on April 26 and an album release on June 14. There appears to be some smoke on this new album rumor...stay tuned. 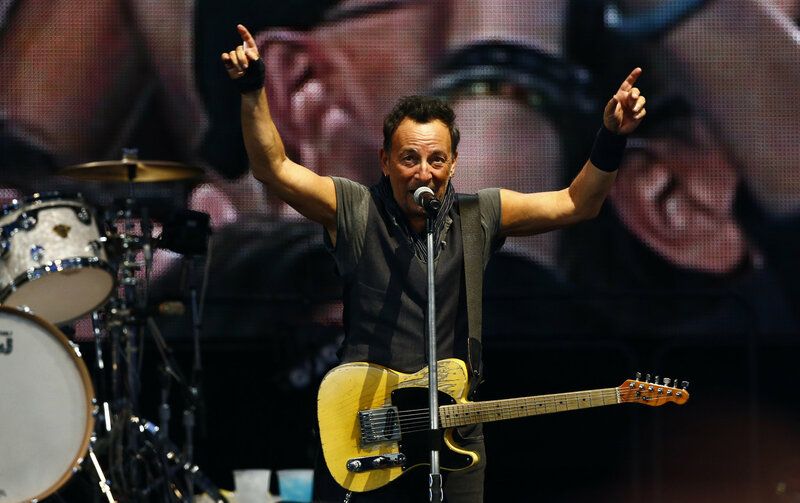 It's been a while since we had a juicy Springsteen rumor...A popular Italian Springsteen blog, Pink Cadillac, has hinted that they have heard that the new Bruce Springsteen album may be slated for a June 7 release. Full text from their blog post today is below. 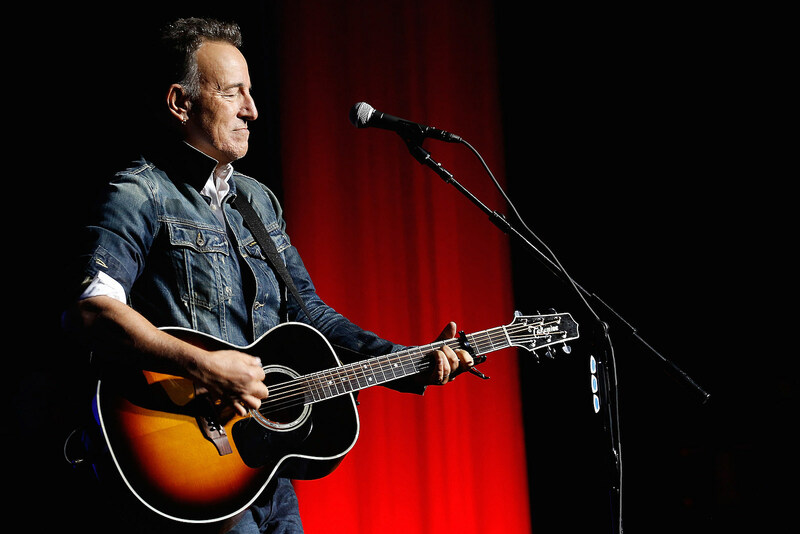 Waiting for the release of the next album scheduled for June 7th, Bruce performed last night at the Kristen Ann Carr Fund gala at the Tribeca Grille, Robert De Niro's New York venue. The event was a resounding success, an explosion of great music and a gathering with many famous people, including Roy Bittan and Bruce Springsteen. The boss inflamed the evening with a beautiful version of "Rocking Pneumonia and Boogie Woogie Flu" and "Down the Road Apiece", played with the Tangiers Blues Band by photographer Danny Clinch, proving to be in excellent shape. In the comments section of their post, they say that the information has come from a source close to Sony. 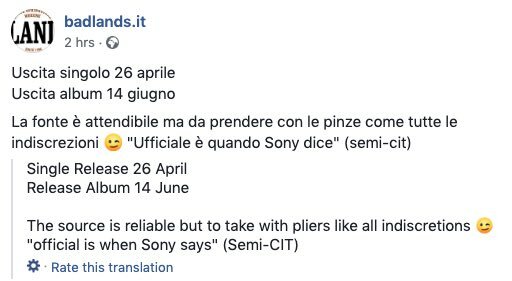 We shall see if this rumor picks up any steam but a June 7 release does seem a little early considering we are already in mid-April. But, who knows. Maybe, just maybe, we'll be surprised and hear an announcement soon. So...an interesting story post from Springsteen's producer, Ron Aniello, made an appearance on his instagram account today (@anyoneforthetruth). The picture below was taken from his instagram account and shows the mighty Max Weinberg in Springsteen's home studio. Aniello has produced both Wrecking Ball and High Hopes for Springsteen as of late. However, he does also have ties to Springsteen's wife and the release of her new albums so technically it could be for her upcoming album. It's my belief though that Max Weinberg would not be called in to record on a Patti Scafila record. Who knows though. It's an interesting tidbit of information that could shine light onto a possible new Springsteen record...or dare I even say...an E Street record? Now who wants to dive into some computer forensics and clear up the notebook on the music stand? According to reports from the NYPost and BroadwayWorld Springsteen may be ready to extend his Broadway run "possibly even to June." 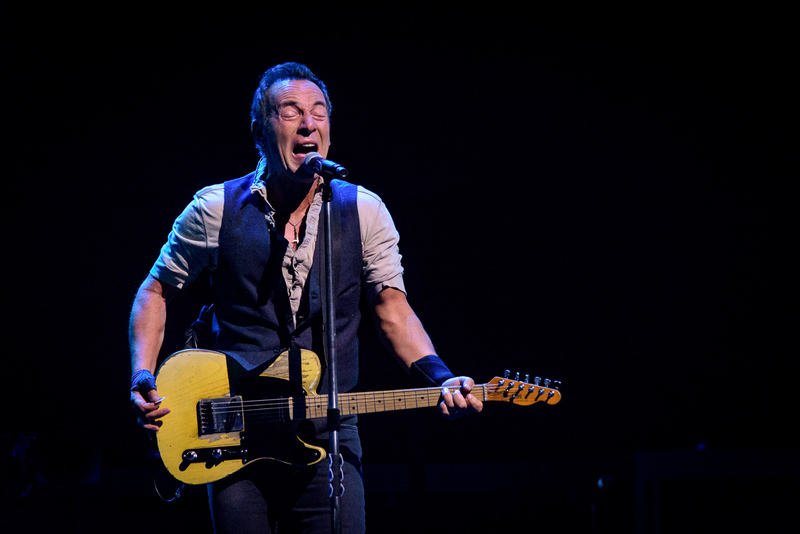 The current schedule has The Boss playing the Walter Kerr Theater through early February. 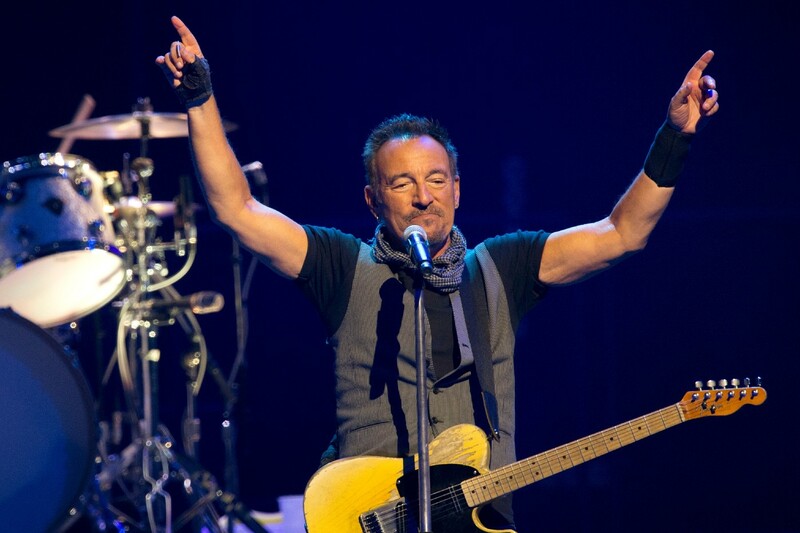 There have been reports of Springsteen maybe taking this Broadway show to London but it sounds like the highly praised performance may be staying put in New York City for a bit longer. Keep it here for any of the latest developments. Ok, who knows if this will actually happen but there are talks about Bruce Springsteen & The E Street Band possibly playing at the possible Desert Trip II festival later this year in California. Rolling Stone has even recently discussed the possibility of Bruce Springsteen performing this year. And to be honest, they give some pretty good reasons why Springsteen might play and why he may not. There have also been talks on Springsteen fan boards about this event with one person stating that the band was already in negotiations. Granted, that does not mean that the band will 100% play, they were just in the negotiation stages. We have heard as of late that the solo album project, that we all assumed would be next, may have been pushed by the waysides yet again. Could this rumor play a role in that? Possibly. Either way, it's nice to be able to bring a rumor back to the site as I know how much you all enjoy them. Keep it here for the latest updates and hopefully we'll learn more soon. I have great confidence in this rumor as it comes from someone who is rarely wrong. Bruce Springsteen is apparently confirmed to be hitting the road again in the early months of 2017 and one of the stops will include Australia. That's not it, to my surprise we were also told that The E Street Band will be joining The Boss during these shows. With rumors of a "solo" album flying around, it raises some questions if Bruce has delayed the album all together (again) or if he changed his mind and decided to bring the band out to tour behind the new album. 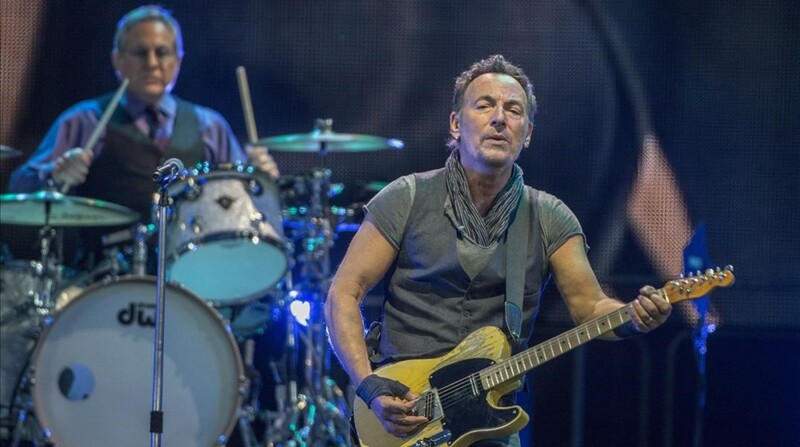 We believe it is likely that the band will not be touring behind the new Springsteen album unless Bruce has changed his mind on how he wants to present the new material in concert. Either way it appears that at least Bruce Springsteen & The E Street Band will be hitting the road in some fashion in early 2017. To add to the speculation of this rumor, Australian promoters are going on the radio waves saying that they are expecting Bruce and The E Street Band to be hitting Aussie next year in February/March along with other major musical acts.